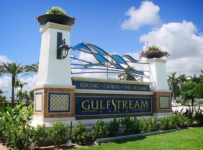 With five days left in Gulfstream Park’s spring meet, the races remain tight for most wins among trainers and among owners. Meanwhile, Emisael Jaramillo holds what appears to be a safe 57 to 45 edge over Eddie Castro in the jockeys’ competition for victories. 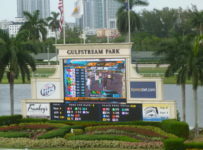 The Gulfstream spring meet began April 6. Its remaining days are this Thursday through Sunday and Thursday June 30. 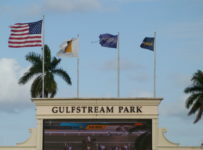 Gulfstream will begin its three-month summer meet on July 1. 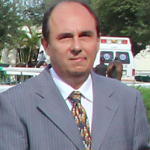 Ralph Nicks leads spring meet trainers with 16 wins. Antonio Sano is second with 15, and Mark Casse is third with 13 victories. Sano is in a strong position late this week. 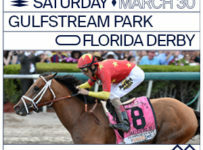 On Thursday and Friday he has a combined ten horses entered at Gulfstream. 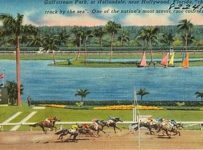 On those two days, Casse has six Gulfstream entrants and Nicks has three. Entries for Saturday will be out on Wednesday afternoon. PTK LLC leads owners with ten wins. 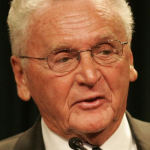 Frank Carl Calabrese, the leading owner in last year’s spring meet, is second with eight and is followed by Arindel with seven wins. 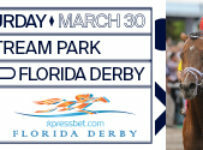 Edgard Zayas is third in the jockey standings with 39 wins; Tyler Gaffalione and five-pound apprentice John Cruz each have 35 wins and are tied for fourth place. 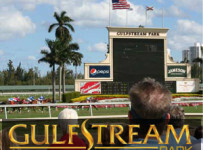 Zayas has not ridden for a month due to a broken rib suffered in a spill at Gulfstream on May 25. Five horses are tied for the meet lead in wins, each with three. 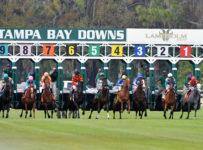 None of those horses are entered in races on Thursday or Friday. 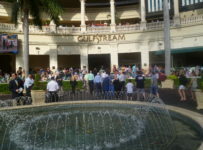 Sweet Victory, a 3-year-old filly trained by Todd Pletcher, leads the meet in earnings with $67,305. 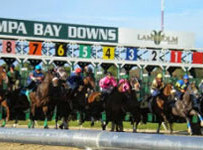 She won a turf allowance on April 17 and the Honey Ryder Stakes at 1 1/16 miles on turf on May 7. 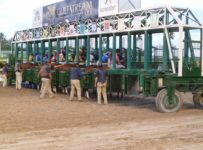 On June 4, Sweet Victory won the $200,000 Penn Oaks at one mile on turf at Penn National. 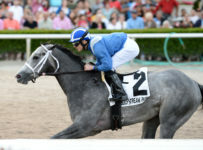 Sharp Kitty, a 3-year-old filly owned and trained by Amy Tarrant, is second in Gulfstream spring meet earnings with $65,301. Sharp Kitty was two-for-two. 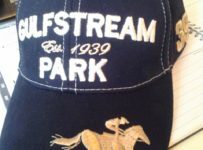 She broke her maiden on May 15 and won the Christmas Past Stakes at 1 1/16 miles on turf on June 11. Sweet Victory is among Pletcher’s horses that will be training and racing in northeastern states this summer. 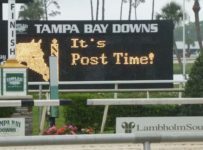 Tarrant this year is keeping all of her horses year-round in Florida, and recently said she plans to run Sharp Kitty in turf stakes at Gulfstream. 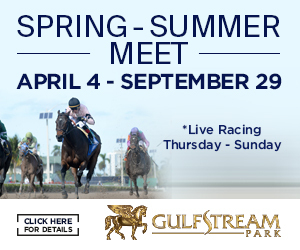 Fans can look forward to Sweet Victory and Sharp Kitty facing each other during the 2016-2017 Gulfstream championship meet that will begin on Dec. 3.